Workstation vs Desktop Computer: Which Do You Need? 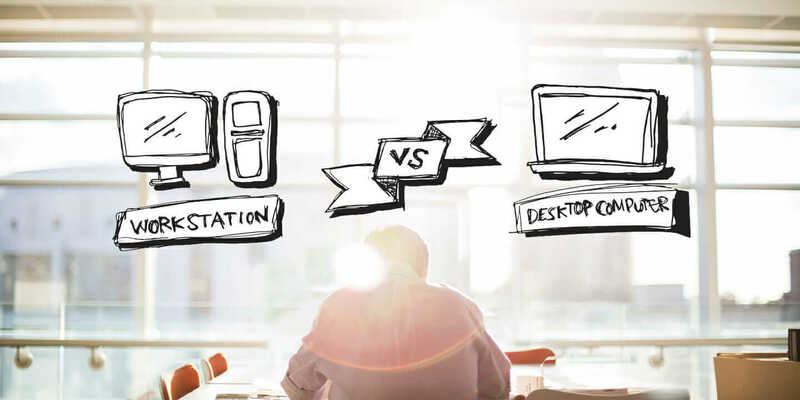 Workstation vs Desktop Computer: Which Does Your Office Need? You’d be hard-pressed to do your office work without a computer. It’s a tool that your office must use, deal with, purchase, and maintain. You don’t want to waste money on a piece of equipment you don’t need, but will spending more on a workstation really cost more in the long run? Check out the tips below to help you figure out which setup best suits your office’s needs. What is the difference between a workstation vs desktop computer? 1. Cost. 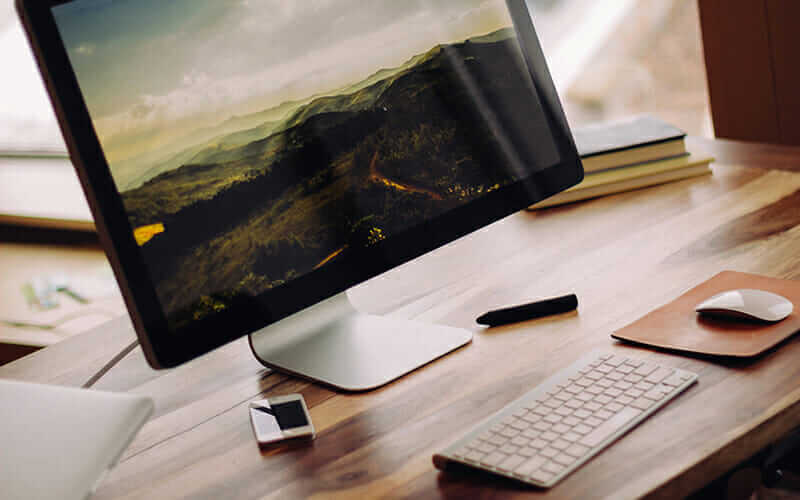 Most business PCs cost as low as $500 and go as high as $1,000, whereas a workstation can start at $1,500 and go as high as $3,000 for a high-end machine. 2. Performance. A PC has enough power to do most tasks such as email, web surfing, and word processing. But a workstation has more power. It can handle CAD, animation, data analysis, and photorealistic renderings, as well as video and audio creation and editing. 3. Durability. The internal workings of a workstation are held to a higher standard than those of a PC. Each part (motherboard, CPU, RAM, internal drives, video cards, etc.) is built with the understanding that it will be pushed hard all day long. In many cases, workstations are working on projects when all the humans have gone home. They are left to crunch large databases or create animations overnight. If one option costs more, then you would expect more—that’s the case with a workstation. ECC RAM. Error-correcting code memory makes your system more reliable. It fixes memory errors before they affect your system, preventing crashes and saving you downtime. Multiple Processor Cores. More processor cores mean more processing abilities. However, it won’t guarantee performance boosts. The software you are using has to be programmed to take advantage of it, but it will provide some benefit. RAID (Redundant Array of Independent Disks). RAID uses multiple internal hard drives to store and process your data. There are several different types of RAID systems. Depending on the type of system, you can get multiple drives processing your data, or you can get mirrored drives, meaning that if one drive fails the other will still function. SSD. Solid State Drives work differently than conventional hard-disk drives. There are no moving parts, so there is less chance of a physical failure. They are also faster. The downside is that they are more expensive and have a smaller storage capacity than that of “regular” drives. Optimized GPU. All computers need to output to a screen. Having a higher end GPU (Graphics Processing Unit) means that your CPU will have to do less work processing the screen output. In some cases, the GPU can actually take over some of the load from the CPU, making everything faster. The downside is that high-end GPUs are expensive. Most of this is obvious: If you spend more, you get more. But is doubling your cost a good idea? Often the answer is yes. If you planned to spend $700 but now spend $1,500, you naturally hope for twice as much. You need to ask yourself the following: How much time does it cost you in downtime and in time spent dealing with issues that come from underperforming computer hardware? If it saves you 30 minutes a week over the course of three to six years (the average lifespan of an office computer), that adds up to 26 to 52 man-hours. Multiply that with your billing rate, and that is the money you are losing. If your rate is $50 per hour, then 26 hours saved is $1,300. That’s practically the entire cost of the workstation. Also, keep in mind that your employees will be much happier while they work if their equipment is more reliable and functions the way they expect it to. That alone will increase production.